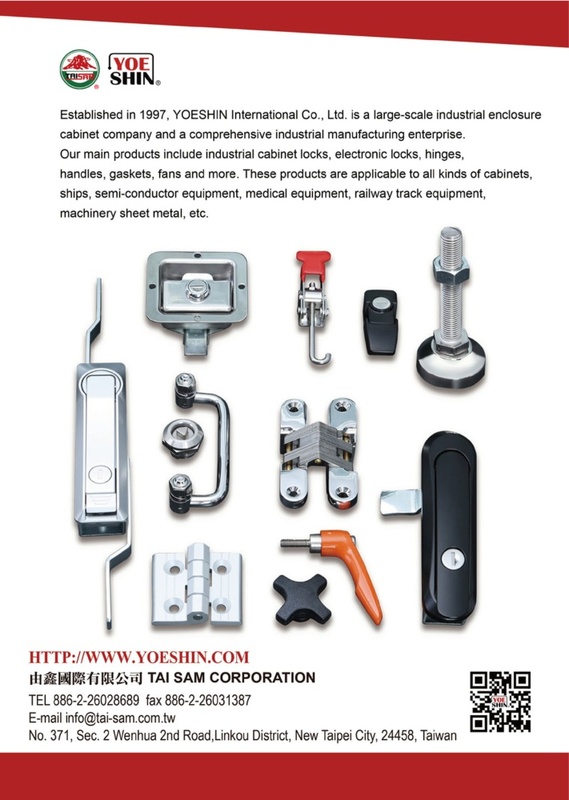 For over 20 year, Tai-Sam Corporation is a professional manufacturer of Handles, Box Accessories, Small Rod Lock, Hinges, and all kinds of ironware parts. The pursuit for both aesthetic and functional achievement of the parts is the permanent goal of Tai-Sam. With everlasting innovation and scrupulous quality control, we provide high-quality products to satisfy the requirements from our customers. Besides, we stand competitive in the market with favorable prices and fast delivery. Tai-Sam is solidifying our unique company culture on the base of the bravery to imagine, the courage to take action, and the entrepreneur’s personality. We believe, with consensus and vision, that not only product quality but also administration policy is the key for us to become a reliable enterprise. We value our customers as the lifeline of the company, so we devote efforts to provide products and satisfactions that are beyond customer’s expectation. As a new century begins, to the face of new opportunities and challenges, we wish our prosperous customers would lead Tai-Sam to go higher and further.